Discover the fun of the moving picture. Does your camera shoot video? Want a little insight; a guided tour through this creative process? 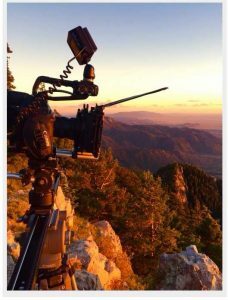 We’re offering a great 1-day workshop with Chris Rish–a fantastic cinematographer, cameraman, and all around video storyteller. During this introduction to video with your DSLR, Chris will share the basics, get you set up and take away the fear of using this feature. Students need to have a good working knowledge of their camera. Chris Rish is a cinematographer, DP, camera operator, lighting cameraman, documentary shooter, underwater guy, narrative filmmaker, producer, director, college professor, and media consultant. Check out his blog at chrisrish.com and his videos on http://vimeo.com/chrishco.